Earn $18.71 in VIP credit (1871 points)What's This? 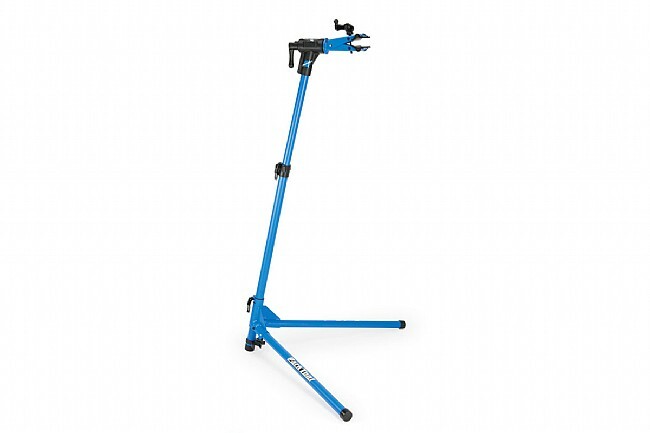 Park Tool's PCS-10 Home Mechanic Repair Stand is quick to set up and quick to take down, with adjustable height and a secure quick-release clamp. Great bike stand, sturdy and adjustable. I've been a cyclist for a long time, and this is the first bike stand I've owned. I worked in a bike shop as a young man, and we had bike stands there, I've used a car rack mounted to the wall to hold my bikes if I've needed to work on them. The convenience of a bike stand is that you have flexibility in positioning any bike to work on easily and efficiently. I now perform routine maintenance more frequently, because I can work on the bike comfortably. 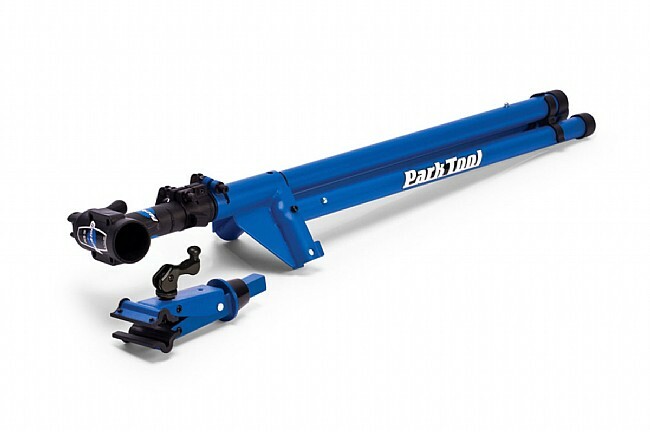 The Park Tool PCS - 10 is well made, well finished, and sturdy and looks like it will hold up well. It's not a tank of a stand that you might find in a bike shop, and it may not be as light as some of the portable aluminum stands, but it's a great addition to my home bike service area. The stand is a good deal because I was able to purchase on sale through Bike Tires Direct, cost was the main reason for not buying a stand sooner. Excellent stand that provides a sturdy base. My only complaint would be that it is not recommended that you clamp to carbon frame. I knew this when purchasing so there is no need to deduct any stars for this. I also was hesitant to clamp to the carbon seat post so I purchased a cheap one that I use for repairs. I read this recommendation on another review. I did have some problems getting the tubes disassembled after shipment, but Bike Tires Direct was extremely helpful via email and multiple phone calls. I was impressed with their level of follow up. The PCS-10 is my first repair stand I've had a home so I don't have much to compare it to. It was very easy to put together out of the box. I have two very different road bikes-a late model carbon racing bike, and a 10 year old aluminum bike-with very differently shaped top-tubes and seat posts, but the stand works well with both of them. All good so far! Between all family members we have 14 bikes, this has cut our work to a minimum, with being able to get the bike off the ground and to a comforatble working heigth, whether standing or sitting on a stool. 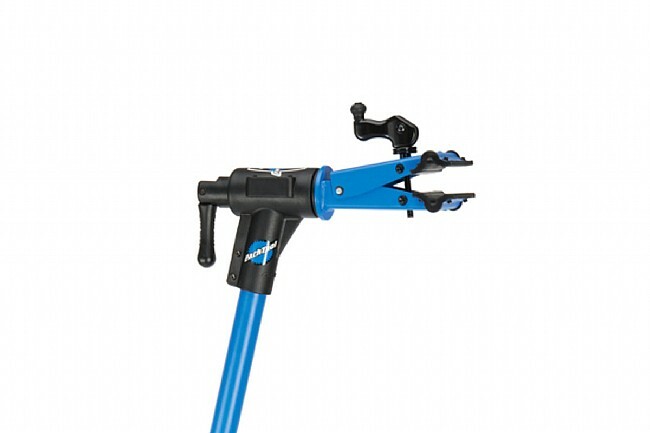 I was hesitant to order this at first because Park Tool makes several other stands which are more expensive , but I am pleasantly surprised . It is really pretty heavy duty and in no way feels flimsy. Keep in mind that it is meant to be a mobile piece so will not feel like the bolted to the floor models in most bike shops but for my purposes minor repairs,adjustments,lube and tire changes this will be perfect.